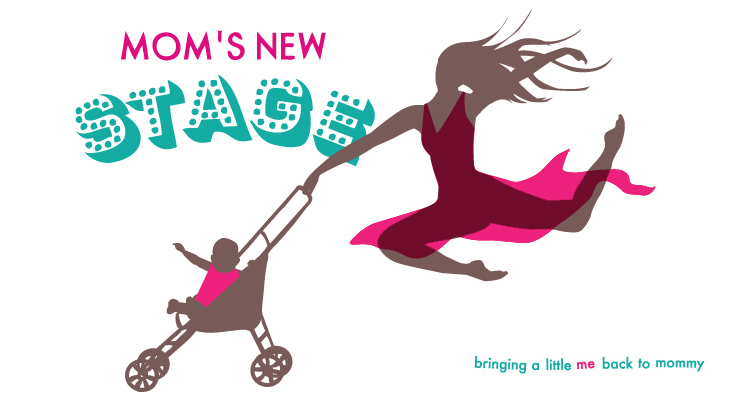 Mom's New Stage: Mompetition II: My Baby's Room Kicks Your Baby's Room's A--! Mompetition II: My Baby's Room Kicks Your Baby's Room's A--! As a welcome to the current mompetitive, child-is-royalty parenting culture of today, a pregnant friend of mine was recently asked the theme of her baby-girl's nursery. My mommy-to-be buddy was taken aback by this barbed query, but posted on FB a few gems that she might have offered in response. Needless to say, as a mommyblogger, I was on that s--t like animal activists on a mink coat. These days a nursery cannot just be a loving haven, culled together out of hand-me-down furniture and heirlooms. NO! It must be worthy of an interior design thesis project. It must be whimsical, instructive, innovative, a conversation starter! The baby's room theme must not just impress, but ASTOUND, other parents, making them fall to their knees and weep at the fierce originality exuded by your family. 3. Arabesque, Schmarabesque. Let's Talk Horton Laterals. *If you purchased this series, I mean no offense. It's just. . . well, um, yeah. ** Theme originally suggested by mom-to-be Katie Hobson. Horton laterals! This is too funny. I don't know why folks go all out on nurseries when in a few short years that little nugget is going to have a mind of their own and want everything different. I mean, I guess I get it, you spend a boatload of time in it when they're young. But once their walking, it's going to get trashed. And I'd bet money on the idea that someone, SOMEWHERE in the 80's had a Kool Aid room. OMG! YES!!! #1 is my fave. I was all into the colors in Aidan's room... the blue and brown stripes and circles bedding/curtains with yellow walls and monkeys sprinkled about. Now that he's 2 1/2, it's DARK navy curtains to block out the light so he'll sleep, a red and black racecar bed cause that's what "Olga's House of Stuff" was selling, green tractors, red fire engine bookshelf, train bookshelf, white chest of drawers, brown train table, Snoopy lamp, white table and 2 chairs with primary colors on the legs... The theme is STUFF THAT AIDAN LIKES with an underlying theme of STUFF MOM AND DAD CAN AFFORD. I prefer THAT THEME to the decor plan I thought I had all worked out because I spent too many hours pregnant and looking at Pottery Barn catalogs. Advice that I got before I had Aidan, "When you MEET him, you will know." That was some spot-on advice!